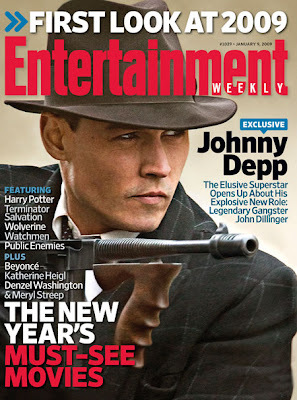 Johnny Depp is on the cover of Entertainment Weekly’s first look at 2009 preview. 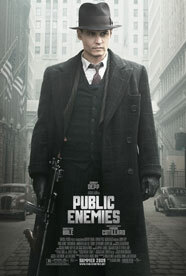 Johnny will play legendary bank robber John Dillenger in the upcoming summer release, Public Enemies. Look the movie in theaters July 1st and look for the issue of Entertainment Weekly on newstands this week.